EnsLib.HTTP.InboundAdapter is an HTTP listener for custom port listening, XML listening, and/or raw HTML handling. You use this adapter in cases when you prefer to listen on a private port rather than using a CSP page (which uses the standard web server to handle HTTP requests). If ProcessInput() or OnProcessInput() returns an error, the production invokes the OnErrorStream() method of the business service. Examine the input object and extract the needed data from it. See “Using the HTTP Request,” later in this chapter. 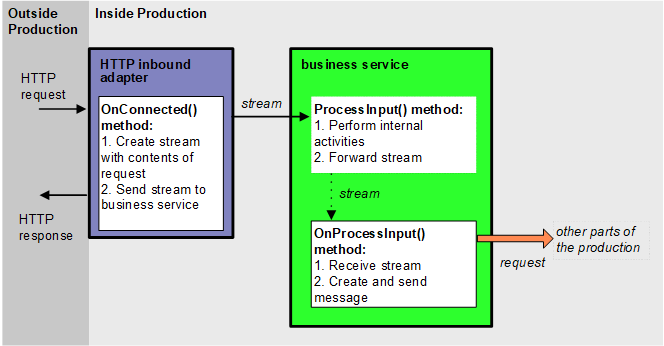 If the ProcessInput() or OnProcessInput() method of your business service returns an error, the production invokes the OnErrorStream() method of the business service. You can implement this method to contain any desired error handling. The method should accept a status code as input and should return the desired output stream. The body of the request is written to the pInput stream. 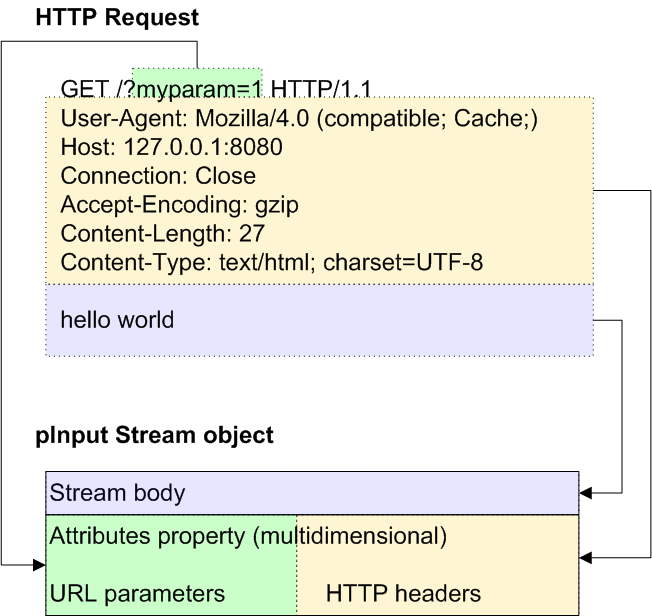 For information on working with streams, see the documentation, for example, the chapter “Defining and Using Stream Properties” in Defining and Using Classes.